SATNAV: Use HD7 4JR. We are very close to the Golcar Lily pub at Bolster Moor. We are located at the Mill which is down the cobbled ‘Heath House Lane’ from the pub. Look out for a sign and arrow on the pub wall as well. Public transport: 303 Huddersfield – Scapegoat Hill bus stops outside Golcar Lily pub. Slaithwaite train station is 2 miles away so walking/ cycling/ taxi options available (NB hilly terrain). 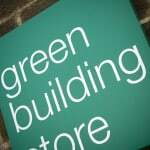 Green Building Store is a trading name of Environmental Construction Products Ltd (Registered Office as above). VAT registration number 640 7097 42.